Get set up for less than $150. With seemingly endless smart tech available today, it can be a little daunting to set up a smart home. Even intro bundles can be tough to sort through. But today, a few discounted devices can help you DIY your way to a setup of your own. TheTP-Link Kasa Smart Wi-Fi Plug is $17Remove non-product link, down from a list price of $40 and less than $2 off its all-time low. The Kasa Smart Wi-Fi Light Switch is $50Remove non-product link, good for $10 off its $60 MSRP and the best price we've ever seen. And to bring it all together with voice control, the 2nd-gen Amazon Echo is $80Remove non-product link, down from a list price of $100 and matching an all-time low. 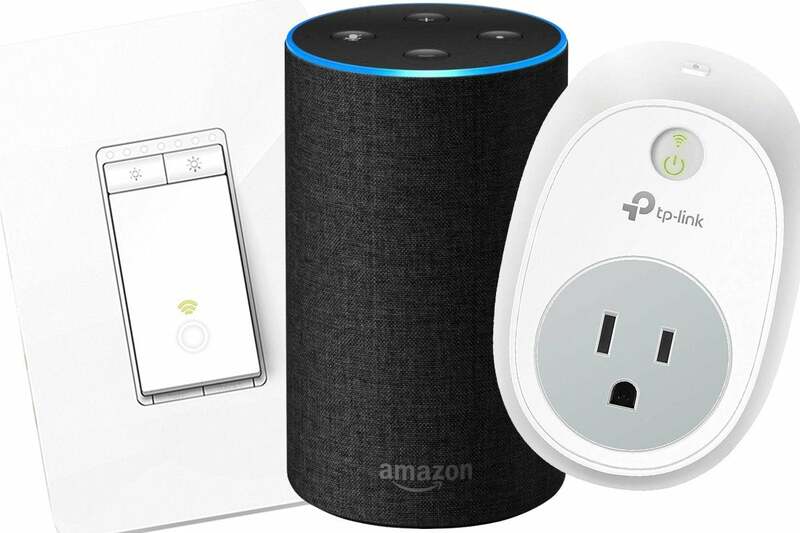 The Kasa smart Wi-Fi plug can add connectivity and control to any normal plug-in device, from lamps to kitchen appliances. With the connected mobile app, you can set schedules and control remotely from anywhere, or set a timer so appliances will turn off automatically after a certain amount of time. We haven't tried this smart plug ourselves, but it's a hit on Amazon, with 4.4 stars out of 5 over nearly 13,000 user reviews. The Kasa smart Wi-Fi light switch also connects over Wi-Fi, so you can control it using the mobile app. You'll be able to dim lights, turn the switch off and on, and create schedules from anywhere. This switch is also a winner on Amazon, with 4.2 stars out of 5 over nearly 2,400 user reviews. And finally, you'll need an Alexa speaker to take advantage of voice control on both of these accessories, and the second-generation Echo is a solid choice at this price, even with a new line of Alexa devices on the way.